Monday 7th August I’ll be visible on this link, thanks to the guys at OpenTracking as I run from Winchester to Canterbury over the next 6 days. There’s more on the Pilgrim 40 Facebook Group. It’s not for charity, there’s no money being raised. It’s principally just me running, I will be joined by friends and family along the route. I’m doing it because I reach 40 in September and thought I’d prove something to myself. I’m hoping to work out what that something is by the time I reach Canterbury. I don’t actually know the total distance, I’ve never added it up. I’ll update my Facebook, Twitter and Instagram throughout the week. After 340 days of running you won’t believe what this local man discovered. I ran for 340 consecutive days before injury called time. Yesterday I didn’t run. When I started out on January 1st this year I knew that whatever happened I’d be writing this post at some point. I’d have a body of runs to reflect upon, I’d have things I’d learned, I’d have a new level of fitness, a Strava record and a few Instagrams to show. Of course, I’d hoped I’d be writing it on 1st January 2017, not 25 days earlier. As a runner in the age of ‘the quantified self’ and, dare I say it in a society that encourages it, I have become as fixated as anyone on the outcome. We’re hard-wired to value completion, if we didn’t where would we be? The pyramids might lie unfinished, Mona Lisa unpainted, the Apollo rockets unfired. Dialling back the hyperbole, this very human evolutionary trait has exerted its powerful influence on my desire to run every single day. There were many days when a run was the last thing I wanted to do. The obvious reasons abound; cold, dark, wet, tired, hungry. There were nights that I ran in spite of emotional and logistical stress: I ran when Jo thought I wasn’t, I ran when I should have been home sooner, I ran the night after my son came home from a trip to A&E while Jo put him to bed. I’m not proud of the subversion, the missed moments with family nor the inevitable upset over mixed priorities. But I am proud of the process. As time wore on I began to feel that the effort of making time every single day to plan ahead, get kit in the right place and at least a two-mile route to run meant that I could demonstrate to the many many people who say “I haven’t got time” that you really do. You don’t need to run every day of course and that’s not the point, the point is that two miles are not a difficult proposition when you’re asking for just 20 minutes a day. Switching from that outcome focus and returning to the process, I’d like to highlight a few of the things I learned and developed along the way. In the plan for 2016 were two marathons, Stockholm and York. Although Stockholm wasn’t until June it did guide my efforts in the first months of the year. I tried to supplement the daily commute runs with the odd mid-week longer run and a long slow run at the weekend. Commute runs were reasonably quick efforts with bags which quickly had an impact on my shorter faster runs. parkrun times were consistently lower than before and I found my slow long run pace had got quicker even though effort remained the same. My most consistent high volume weeks were through the spring. The old commute run to and from Tabernacle Street was straightforward and effective. Combined with my simple work ‘uniform’, the months just ticked by in a largely positive fashion. I was surprised that the niggles came and went without developing into anything. My long-standing patellar tendon issues eased and I just kept going. Weight dropped off, not by design but by simple nutritional deficit. More on that later. Stockholm was a great race, hugely enjoyable and one I’ll look back on fondly. I felt I could even have gone a little quicker but the summer was still young and York was on the horizon. I had some great runs over the summer. Three fast timed miles at the City mile and Arethusa miles, joining Martin and Liz Yelling for my first super long day down on the South West Coast Path (SWCP) and then, later in the season, more SWCP running with Jo. The hills, the mile speed and the strength work I did on those runs combined with some new routes around Surbiton had serious benefit. In fact, the need to find new routes really was a benefit. I found myself plotting by distance and exporting these to my watch, following unfamiliar roads and trails throughout Surrey and SW London. I got very familiar with the Thames Path all the way to Windsor or up to Battersea, and occasionally beyond. I doubt I’d have done this without some desire to break away from the monotony of the commute runs. By the late summer and autumn, I was sufficiently focussed on York, albeit with lower weekly totals than the spring training block. I remember my final dawn-start long training run through Epsom and Esher that finished with a 5k parkrun and topped off a massive week for me. I ran a race I was really proud of (a PB 3 12′ 50″) and came off the back of it with a 18:32 parkrun PB and a VO2 max estimated at 61 ml/kg/min in October. Looking back I wonder whether that’s where it really ended. Although I felt fast and was running injury free I didn’t really have a target in mind for the final three months other than finish. 2 miles (3.22k) every day. As a consequence, I resigned myself to a commute run most nights and the weekly totals plummetted. Injuries typically occur after a change in training; a volume or intensity spike, a change of surface or other environments. In my case, the move to a new office location meant my run back to Waterloo was shorter, faster and downhill most of the way. It was also now entirely dark and involved notably more kerbs, junctions and slow-moving pedestrians. This meant I was juddering to a halt from speed a lot more than the old (still frustrating) route from Tabernacle Street. I was slamming down hard off the kerbs and putting shearing and twisting forces through my ankles more like a midfielder than a runner. Added to that (and hindsight bias is strong at this point) I ignored a low-level niggling plantar fascia problem for several months. The net result was an angry Achilles after a long run along the towpath in trail shoes. I thought it was just some soreness due to the conditions and shoes but it didn’t ease and I didn’t give it enough attention with NSAIDs, ice and massage. I saw my daily commute as an easy run, unaware of the more unconventional impact it was having. It hurt to run that route yet I could manage a comfortable easy loop at home and do an ordinary slow parkrun. But on Monday night I ran back to the station and early on felt a stabbing pain unlike the usual irritation. I carried on but with 800m or so left to run I jarred it again and i knew I couldn’t bear weight on it, there and then I knew it was over. Presumptively I’d booked Liam for the Tuesday evening and had hoped that i’d wake up that morning feeling that seeing him in the evening would mean he’d just be helping me to release some tension and I’d have managed a run in the day. But no. It just wasn’t an option, I had pain all day just walking and found myself wincing each time I climbed or descended stairs. The prognosis isn’t bad. Recovery should be straightforward with a decent regimen of slow and heavy resistance work after the acute inflammation has eased. Liam supports active recovery so I expect to be able to jog lightly soon enough and as I write this 48 hours later there isn’t pain walking. The biggest injury (apologies for the rather obvious cliche) is in my mind. I’ve taken a lot from being part of and reading about Martin’s failed SWCP run earlier this year. The lengthy post-mortem on Marathon Talk and on his blog have helped put this kind of personal challenge in perspective. It will always smart that I fell short but writing this now and reflecting on what I taught myself over the period is fantastic. I’ve run more than ever – but I know I can do even higher weekly distances in future. You can run on rest days, as long as you run at markedly lower intensity, lower volume or both. Speed work has a huge benefit. Regular endurance work has a huge benefit. If you can work both into your schedule you will move beyond your ‘local maximum’. There are very few days and very few environments where you can’t get a run in. It requires prediction, planning and a tolerance for what constitutes a run. You don’t need a tonne of kit. I wore two-three pairs of shorts and the same number of technical shirts. I did burn through at least three pairs of Adidas adios boosts but I bought previous season models and used Vitality discounts to keep these purchases under £100 each time. Foul weather running is grim but nothing you experience in the non-mountainous UK is a reason not to run. It helps to have a wife who runs and running buggy. Tolerance from my son and empathy for my behaviour from Jo and our son was hugely beneficial. It helps having colleagues and an employer who support your lifestyle. Not being on-time, wearing running kit in the office, being a Strava Wanker can be irritating. Dare just let me be and, even occasionally, celebrated what I was doing. So with my evenings a little calmer, my commute a little longer and my VO2 max a little lower, I can settle into a few weeks of planning what 2017 might hold. There’s precious little point sharing my present thinking here as it’s just as likely to be different tomorrow. There is the small matter of the British Indoor Rowing Champs on Saturday with my old University crew mates for which I have not prepared, not rowing a single stroke before the day. After that I know my motivations are in several directions: vanity to gain weight and muscle mass, strength and flexibility to protect against injury more, pleasure to enjoy running again at a variety of intensity, volume and environment and finally a few soft PBs that need some attention (as well as some hard ones too). It was a long post, as much (more?) for me than for you, dear reader, but I hope valuable to some in various ways. My Smashrun visualisations showing trailing averages, intensities etc. Pound Cost Averaging: Why investors and investment houses should learn from runners. Analogies can be hit and miss, but that doesn’t stop me from deploying them almost constantly in conversation. Because running is such a significant part of my life, there has been a tendency to see much of the work I do through the lens of physical activity and effort proves to be highly relatable in many service journeys. Thanks to my one-time boss and good friend Darren, I was engaged in a conversation on Facebook recently pertaining to investments. With an undulating landscape of financial predictions, the chat was about how your unsophisticated public investor might make the right decisions about how much to invest and when. The basic idea behind pound-cost averaging is straightforward; the term simply refers to investing money in equal amounts at regular intervals. One way to do this is with a lump sum that you’d prefer to invest gradually–for example, by taking £1,000 and investing £100 each month for 10 months. Or you can pound-cost average on an open-ended basis by investing, say, £100 out of your paycheque every month. The latter is the most common method; in fact, if you have a defined contribution pension plan, you’ve probably already been pound-cost averaging in this way. Now, that’s one way of essentially distributing an investment over time to spread the risk, prevent you getting carried away trying to read the market but keeping you ‘in the zone’ of investing when you might not feel like it. There’s good evidence that it’s a very sensible strategy, albeit one that is not at the aggressive end of possible returns. Writing with refreshing candour in The Spectator in November 2015 Louise Cooper highlighted how such a simple approach is a solid antidote to the lack of expertise that Fund Managers really have. Now, what I’d like to see – and what interested me about Darren’s comments – was the potential to flex these regular contributions in line with the market’s movements. This is where the analogy really begins. As a long-distance runner, the absolute best thing you can learn in an event like the marathon is pacing. You want to distribute the effort across the race and there’s some really good literature to support it. No course is completely flat and this means you have to modify the effort to match the gradient, you ease off a bit on the uphill and, within reason, make some benefit on the downhills. Using Heart Rate as a guide you might aim for a consistent effort of 165 BPM, keeping that constant on hills means dropping pace, on the downhills your heart is under less load so you can speed up a bit. Recently the website Flying Runner allowed you to create a minute-per-mile pace band that reflected the slight modifications you’d make throughout the race depending on the gradient or effort required. Now consider investing, let’s say you want to invest £10,000 this year. You can trickle that out evenly across the year in £833.33 increments, assuming a flat market. But what if you wanted to follow the FTSE and say invest a little more when the market is on a downturn and invest a little less when it’s climbing? Doing so would make the most of the market movement but keep you within a framework that spreads the load. There are issues with this approach of course: a period of consistent decline might over-stretch a finite investment pot, so if I put £850 in for the first 4 months of the year then I’ve used up more of my £10,000 but with no guarantee that I’ll make it up if the market doesn’t subsequently ascend. That’s a crucial difference. In the marathon, we know the profile and the distance of the course in advance and can plan how much to scrub off or add on to our pace with the gradients and the total distance predetermined. That said, this is a longer play than a marathon and a decade of investing this way is sure to see the amounts even out. The problem then becomes setting a monthly amount that you can afford: For example setting hard maximum investment and a hard minimum that is reviewed each year according to salary changes. The second issue is fees and logistics. The sad truth is that nobody appears to be setup to allow the public to effortlessly invest in this manner. Often each investment incurs a commission thereby wiping out the gains if you’re making 12 of them per year. Additionally, no provider appears to offer automatic modifications that track the market gradient against your personal tolerances [happy to be corrected], although Share Centre certainly support a savvy customer doing it themselves. Evidently, there’s nothing to stop one doing it oneself with a spreadsheet and a diligent approach to calling in or going online to tweak the figures. Does this constitute a direct example of where Big Finance is theoretically working against customer behaviour by penalising us through regulatory-inflicted charges? Is it an example of an opportunity that could be exploited by FinTech, able to quickly build a front-end to an investment vehicle that is aligned to plausible customer behaviour? Well, until I can find a service to meet my desired approach I’ll just have to work on my own Google Spreadsheet and work towards the release of the first endurance-inspired investment strategy. Given that the Brexit marathon starting pistol has just been fired, perhaps now is the time to, caveat emptor, give it a go? With the Asics Stockholm Marathon just a few weeks away it’s time to take stock of a few things in my running year. Although not documented on this blog, I’ve set myself a challenge of running every single day this year (at least 3.2k – two miles in old money). This was loosely inspired by Advent Running and the Tracksmith poster, but the origins are neither here nor there. So far I’ve hit it. Doing a challenge like that has naturally impacted my traditional marathon build-up. I’ve followed a Garmin plan this time around and on rest days I’ve just done light runs but other than that I’ve tried to stick to tempo or threshold training on the selected session days. The big ‘but’ of all this has been the effect it’s had on my overall quality of session: tempo runs are often on tired legs, intervals are not even harder to complete and the long runs in recent weeks have seen some incredibly slow pace and high heart rates. To make sense of this, or at least allow me to predict what this might all mean for Stockholm I have been fretting about the long runs in particular. In recent weeks, I’ve hit 32.1, 35, 31.1, 33.6 km each weekend. 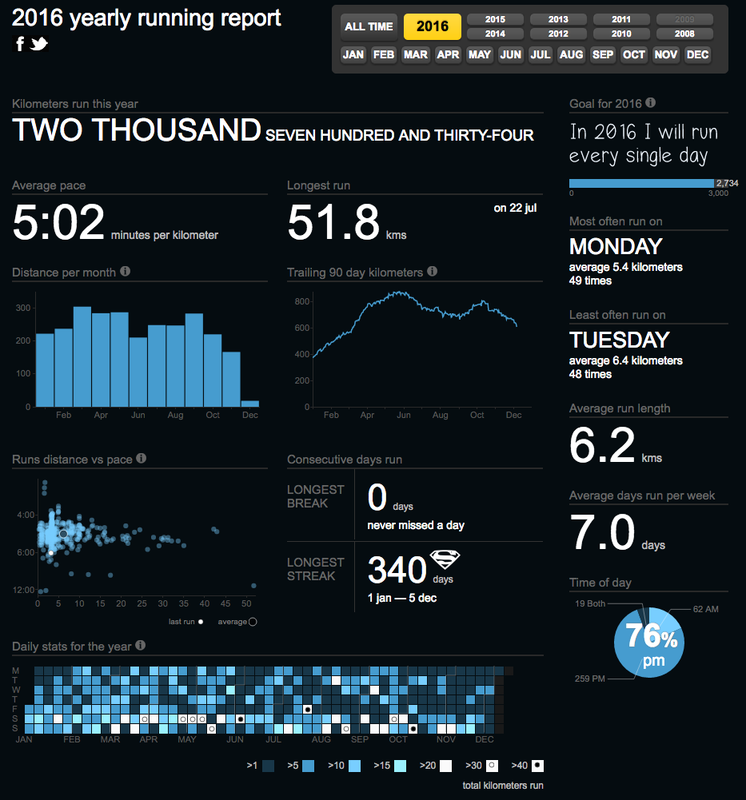 I’ve done 5 runs over 30k this year and a further 5 over 20k. All of which is much more than I’ve done in the past but I’ve been intentionally running them slower. I’ve tried to stick to Zone 2 Heart Rates, under 140bpm which means around 5:10-5:40 pace per km. It should feel easy but after a while it does fatigue you regardless and it begins to hurt as I run more heavily by slumping into slower cadences and mentally I struggle with the discipline of keeping the HR low especially now the days are 15-20 degrees warmer than those first runs of the year. Today I stumbled across the Tanda discussions from Christof Schwiening‘s blog which I found via Charlie Wartnaby and the sub 3hr Facebook Group. I printed out this graph and started to plot my weekly distance against average pace to see where I sit. Fortunately, Strava’s log page gives me the weekly duration and distance figures so I did a few calculations on bane.info and plotted 12 weeks’ worth of data. To my amazement it had me sitting along the 3hr 15′ contour and, given the strength of this model, I’m quite encouraged by that. There’s no question that the long runs have really frustrated me, on the days I’ve run slow I’ve wondered how I could even run at paces I was comfortable at in 2015, 2012 and 2011 for the full distance. But then this year I’ve also hit a parkrun PB of 19:03 and regularly go sub 3:45 on my commute runs and in interval sessions. My Garmin VO2 max has been as high as 60 and is currently hovering at 58/59. So I’m fit and, touch-wood, largely injury free. A niggling sciatic nerve, a bit of gluteus numbness and some hints of ITB all might flare up on the day but equally, could not, and if they don’t? Well, to hit 3:15 would be a dream and put me firmly on the road of my 5-year plan to sub 3 with a good opportunity to go quicker in York in October. However, that means averaging 4′ 37″ /km for the entire race and that is a pace which I exceeded for just 25 minutes on Sunday (after 2 hrs 20 mins of slower running). Even with adrenaline and a lighter few weeks ahead I’m not sure I’ve got that in me, and that in itself is a revelation: physiologically the data says I should be able to do it, but my own sense of perceived effort says it’s not. I’ve got time to set that goal, create the pace band and work out what I’ll go at. Keeping an eye on the temperature (average 18 C) and wind on the day will have a bearing but when you’ve spent a fair amount of coin flying out there, hotels and food, do you really want to risk having 4 hours of hell on the road because you took a risk and went out at a punchy pace? UK Running events: Are the fees excessive? I decided some time ago that I wouldn’t ever compete in my most local of races, the Garmin Kingston Run and the Lidl Kingston Breakfast Run. These events cover the route that I run most often and it just seemed silly to pay £28-34 to cover the same paths I cover each week for free. That was a rational decision and although I thought it was expensive, it was more in the context of it being local and familiar rather than a moral comment on the rising cost of races, after all, £34 was for a 20 mile course, so £1.70 per mile or 24p a minute [see below]. It planted a seed in my mind. That seed germinated last year when the cost of the Winter Run was announced. This is just a 10k run and the price soared to an eye-watering £40. Ok, Ok, I thought, it’s London passing some of the busiest and most secure environments in the country and it’s for charity and they’re putting on a fake snow machine and ‘free polar bear hugs’. So, perhaps, the £4.50 per km cost [£1.13 per minute at 6’26” mile (4’00” /km) pace] can be justified. I’m not going to enter obviously but somebody might. Then last month the little seedling grew another few cm when I received an invite for the Vitality West London 10k. £40 plus a £2.40 booking fee. What on earth are they talking about? This time there was no snow being promised, no bears and the charity bit is optional (albeit reducing the cost if you do). It’s getting ridiculous. Milton Keynes Marathon cost me £40, London in 2012 was about £35 from memory. At London you can understand the cost – this is a race having to pay high fees to attract the world’s very best runners. London Marathon provide security, medical and logistics support to hundreds of thousands of people across one of the most expensive and congested cities in Europe. With most people finishing in 4 hours or so it works out at a quite generous 15-20p per minute (less if you include the pre and post race support), that’s £1.50 per mile or thereabouts. The marathon is over four times the length of the 10k; Now you’d assume some costs are fixed and others based on mileage and there are going to be economies of scale, with that in mind the fact that the Vitality West London 10k is the same cost as one of the World’s top Marathons just seems a little excessive doesn’t it? What proportion of the support is offered on a volunteer basis? What fees do St John Ambulance charge and the various chip-timing systems? When drinks are provided, is this at cost to the manufacturer or is it a wholesale buy? What about ped barriers, gantries, baggage transport/storage, signage? How about professional fees, local authorities and insurances? Now, here’s the crux, how does the experience differ – in real terms – to the more spit-and-sawdust events? Admittedly some of these are not on closed roads, but to many runners the difference between a regional city/town marathon and club-organised event is predominantly a case of baggage handling, signage and goody-bags. The distance is the same. How has the cost of the UK’s top-tier closed-road events changed in the past 20 years (Great North Run, London Marathon, Edinburgh Great Winter Run). Do you know what you paid for one of these events in the distant past? Are key event costs rising or falling? Of those items listed above, some of these must surely have benefitted from technology and efficiency savings? What do you think? Are race prices a fair reflection of the organiser’s effort? Is it fair to compare such ‘different’ events? Bear in mind that the runners’ fees are not the only income source at several of these events. Sponsors contribute and charities are often charged significant fees to have spaces for runners and their own tents at the event (e.g. Great North Run). By contrast, here’s a BBC News piece about how obstacle events (ugh, don’t get me started on this particular craze) are increasing in popularity and how they leave organisers out of pocket at least initially. A Guardian assessment on race prices from March 2015 – the comments on this piece are revealing. I’d love to have a race director’s view – can you give us a breakdown of costs in terms of a percentage of where race fees go? For a brief insight, Marathon Talk episode 300 had some details on the scale of logistics behind the Bournemouth Marathon Festival (multi-distance) event. Evoking the spirit of running, two short films. Those of us in advertising and marketing know that communications often resonate strongest when there is an emotional connection. Something about a message or the way that it’s presented that evokes the primal or limbic response. Only one of these films is really an advert, and even then you could argue it’s a brand film. Both, however, are absolutely brilliant at reminding me of what it feels like to run and why the bloody hell I do it. Autumn is a cracking season for running. A few weeks ago I ran in the early morning through Windsor Great Park. The sort of run that was so steeped in English history it was almost a parody of itself. I ran through Windsor, past the tremendous, perfect, castle and down through the mists and mellow fruitfulness to the Great Park. In utter silence and solitude I shared the empty dewy paths with only deer for km after km. It was one to hold in the memory banks for years to come. It reminded me of the video Julia Bleasdale and her partner shot in Bushy Park last winter. A park still technically in Greater London and yet from the shots you could be forgiven for thinking it was in a great rural idyll. Julia’s latest effort is even grander and even more inspiring. It’s not as familiar to me as Bushy of course but what wouldn’t make someone aspire to run this free than this glorious two minutes of high definition drone footage? By contrast, Tracksmith’s effort draws us back to the turning season. Stealing us for a season of cross-country, this vision of picturesque, smokey New England is about as far from the cross-country I remember as a boy as it’s possible to get. Photogenic, fit and breathless athletes grace the well-considered shots with muffled sounds and an thoughtful narrative. Nothing’s made me want to get up early and run as much as this film. In a world of athletics dominated by conversations of unnatural performances and Instagram feeds drowning in thousands of lurid neon boys and girls in their active wear, it’s so great to find two bits of creativity that speak to me about why and how I run. Julia Bleasdale, Switzerland, August 2015 videos. There’s good, and there’s Good. I absolutely will not take anything away from anyone who runs a marathon (and that includes run-walk-run), but to be blunt there are times that are exceptional, times that are good, average and below average. Marathons are now very popular yet still you’re in less than 1% of the population if you’ve completed one. So, by that token, even an average effort is rather impressive. It’s against this framework that most efforts are judged. Because friends and family are likely to be non-runners without the context and knowledge of age-gradings and suchlike, they base their judgements on what they might have heard other recreational runners achieve. Good news if all your friends have known is a 50 yr old retired fireman running a 5hr 30 effort for charity. Not so good news if you’re friends are also friends with top-end club runners and chaps like David Cartwright of Poole Runners (02:54:36 at age 63). Fortunately there are things like age gradings to help you understand whether these achievements stand relative to your age. There are also handicap systems like the runbritain rankings. So, whilst friends, family and colleagues happily applaud my 3:29:58 and I’m personally delighted with dropping my PB by nearly 30 minutes this year, I’m pretty aware that the (male) qualifying time for Boston is 3hrs 10 (18-34) or 3hrs 15 (35-39) and that London‘s ‘Good for Age‘ entry is reserved for 3.10 runners (under 40). What made me settle on this was seeing Nell McAndrew cross the line at London (just in front of Mr. Cartwright) in under 3hrs. A time that placed her in the top 40 women in the UK. She started with a 3hr 22 eight years ago at the age of 31. Whilst my two marathons were a year apart, I can’t honestly say I trained solidly in that year to get my time down. After 2011 I sat out most of the summer, a few short runs here and there and gradually built up to running distances around 12-13km. When I took on the Run Kingston (16mile) race in October I was under-trained and had a miserable final 6 miles to scrape in well over 2hrs. I then did a bit more to keep a base going and eventually started a 16 week plan following Jeff Gaudette’s Runkeeper 3hr 30 schedule for London 2012. With a few sessions missed thanks to injury, a ski holiday and the odd work-life-unbalance it wasn’t a perfect build up but as close to perfect as I’m likely to get. I might not have had ideal nutrition or done much in the way of stretching and strength (quite contrast to last year when I religiously did both) but some of my splits in my training intervals were really surprising me. I was able to run pretty fast, comfortably. When I went out and did Asics Fleet pre-London Half Marathon in March I ran conservatively and intelligently and ducked comfortably under 1hr 40. I have told too many people that I’m going to run a marathon every year until I’m 40 (and who’s to say I won’t carry on beyond) so I feel like I really should keep that up. Having said that, I suggested ‘never again’ to the reception party in Horse Guards’ Parade last sunday but a bit of time and perspective helps! Since watching Berlin from a hotel room in September last year and knowing how my friends have talked about it as a race (and a city) I think I’d really like to do that. It’s too late to enter for 2012 and, in any case I’ve got something else planned for this September anyway. So, 2013 it is which means 17-18 months of training to get that 3.10. There’s precedent here though. My good friend Darren is a little older than me, very similar build, been running a little longer and has a (much) busier life – but he has had some great success in recent years (using Jeff’s plan) to drop his marathon from the 3.30s-3.13.43 (Royal Shakespeare) to a PB of 3.07.05 in windy conditions in Rotterdam this year and is aiming to go sub 3 at some point soon. To do this I want to draw a straight line between today’s PB and September 2013. I have some milestones to reach along the way and I need to methodically tick these off to achieve that goal. Milestones like gaining strength in the legs and my core, in improving my cadence (footfalls per minute) and general form (transitioning to a more mid-foot strike). With those ticked off I can continue to work on my aerobic capacity and my psychological strategies to ensure I can dig in for longer at faster paces. With that in mind I have two races coming up. Sadly they’re not really compatible but I want to PB in both of them. The first is the LGN Inter-Advertising 5km race in Regent’s Park. This is a flat and easy course and it’s important to me to put in a good showing there in front of colleagues and peers. I can definitely shave a slice of my previous best of 22-ish minutes. The second however is the Great North Run. A race I’ve been bag-holder for twice and always been jealous of, it’s got a fantastic atmosphere, a reasonably straightforward (though not super-fast) course. It is only three days after the LGN 5km though so it probably means that it will have to take precedence and mean that my 5k PB could happen sooner in the year, at a parkrun for example. Dare Run helps with this particularly as some of the lads have good 5k speed. I’m keen to hook up with some old rowing chums (James & Owen) too, both of whom have much better PBs than me. And that’s it, for a little while. I’ll just quietly get on with it. If you want to follow my progress (!) then the usual Runkeeper, Endomondo and Garmin links are out there, as well as Twitter of course. Just as I was wrapping this post up, Laurian (Dare and fellow VLM sub 4hr runner) posted a link to an article in a paper I detest, which did draw attention to the fact that amongst certain middle-class aspirational circles that posting PBs and talking about your endurance feats is the new rat-race. It is actually alarmingly accurate and brings this post of mine wonderfully back down to earth. So thank-you, horrible paper, for making me realise that this might actually be pretty gauche to many of you. For that, I apologise! It might seem obvious but 26.2 miles is a long way. It’s actually quite easy to forget that. Where I grew up in Kent, I used to think that when I’d drive the 26 miles from home to the end of the M26. A journey that even at 70mph in the car seemed quite a way. But today, one week on from my second marathon in London, I’m struck by how quickly it went. I was having breakfast this morning and realised it was 09.45, exactly the same time as I set off last week from pen 3, blue start, Blackheath. I finished my breakfast, watched an entire film, did some chores and helped Jo make and bake some cookies. The week before I’d still have been running. It felt like a long time this week but back then it flew by. This year I travelled to the start with Naomi Dunne and Zeeta from Clapham Chasers. Naomi’s a great friend and colleague who was starting her third marathon and – in spite of injury – after a sub 4 hour time. We had plenty of time on the (more busy than 2011) trains and arrived in good spirits. Sun shining, start buzzing and we found a spot out of the wind an near the loo queues. After dumping bags and hugging for luck we hit our respective pens. I lucked-out this year and with a low number (6226) I was in pen 3. Blue start is the best start in my opinion. It’s the elite and championship start and it follows the ‘proper’ route rather than joining the route a few miles in like red and green do. We moved forward a couple of times and by the time the announcements of the men’s elite were being made I was about 60ft from the front line. I crossed the line under a minute from the starting gun so my splits would be close to the official gun time which was pretty handy. Last year back amongst the Fun (capitals intentional) runners I had a mare. Stopping an shuffling for at least a mile. This year I was running from the start and much more relaxed too. I stuck to the Jeff Gaudette’s plan and settled in to 8.10-15/miles for the first 5 miles. I passed Iwan Thomas with a cheery hello about 2 miles in, enjoyed the ‘humps’ up Charlton Park Lane, the Olympic shooting test event and generally got in to the swing of things. Just after Charlton we hit the 5 mile mark and from that point I had to make sure I was closer to 8 min miles (4.57km). But for the first 2km I’d been comfortably under 5 min/km and my heart rate was an easy 155. I could see the 8 min mile (3.30hr) pacing team so I hopped on their ‘bus’ and thought that would take my mind off the next 15 miles and the fact that I was starting to need a wee quite a bit. I’d hydrated on SiS before the race and had been really making sure I started the race properly hydrated. It’s a gamble as to how far you take that and despite using the facilities en-route to my start pen, you can’t legislate for how quickly it goes through you. I thought I could hold out and that sweat would deal with it but a few miles later I was in the same situation I’d been in a Fleet half marathon a month before and was looking around for the next portaloo. Knowing I needed a time cushion to cope with the pit stop I picked up my pace (4.54, 4.52/km) after Cuty Sark (which looked amazing and brilliant to be back after missing it last year) and the winding detour of Greenwich I finally ‘scratched the itch’ just by Deptford Park at about 13km. I lost about 30 seconds in the stop but kept my watch running to have my total time, and picked up the pace (4.49, 4.55, 4.51) to try and get back in touch with the pace bus. This was hard work (heart rate nudging 160) and despite some pretty attractive cheerleaders at Surrey Quays the miles rattled on toward Tower Bridge without any real incident or any real gain on the pacers. So I settled back into my own rhythm to tick off the miles in Rotherhithe and get to Tower Bridge in good shape. Well, that was the plan. The trouble with Tower Bridge is that it’s great. And straight after it I knew my family would be near Tower Hill. So I sort of got excited again and put some faster km in again to take me over the bridge and on to The Highway. Knowing that it was about that point that I started to feel shocking last year I did at least reign it in and hit 8 min miles again. To some extent (as the elites passed us on the other side) heading down toward Narrow Street and Limehouse I knew I’d been a bit naughty with the pace. I came up behind James Barnard around this point and since I’d been following his blog Sir Jogalot for a year after we both had similar experiences in VLM 2011 [him / me], I introduced myself. Both going for sub 3.30 we exchanged pleasantries and then had that awkward moment when you say goodbye/luck and then continue to run in silence alongside eachother for a bit. James looked in control at this point and I figured as an experienced pacer I’d keep in touch with him. However, I seemed to be naturally pulling away a little and as we headed down into docklands I lost touch with him. Reading his post later that weekend it’s clear he had some challenges of his own but I’m delighted to see how well the Newcastle United Foundation have done out of his run. Last year I was in tatters in docklands and the first of my walk breaks came in to play. This year I was determined that wouldn’t happen. I knew I had to hang on to the 18 mile mark which was going to be my first of three gels. I’d taken on Lucozade sport at 5, 10 and 15 miles (a quarter to a third of a bottle each time) and water intermittently. Psychologically I was feeling ok. I’d had some tired legs and some dark thoughts around 14-16 miles but by the time the crowds built through Canrary Wharf I felt happy about getting out of docklands and heading for home. The data tells a slightly different story. It’s tricky to be specific as the tall buildings and tunnels play around with the GPS but I was definitely slowing and my heart rate was getting into the high 160s. As someone in the crowd announced ‘single digits now’ I was getting excited about turning back west. I’d expected that by this point we’d be getting pretty wet. The forecast had been for the wind to build to be a moderate westerly, a headwind all the way home along Embankment and for the rain to start around 1pm but neither really arrived. It’s always windy in the towers of the Wharf so I didn’t notice a significant headwind and the scraps of shade that arrived with a few clouds and tall buildings helped to reduce the inevitable overheating. Reaching the 20 mile marker with a 10km race ahead I felt tired but that I’d done enough sessions in training to know that I could put some speed into my legs in spite of it. I didn’t know how low I could drop the pace only that I needed to go ‘as fast as you can’. I hit 4.48 in that first km (7.43 miles) and kept my ear out for my km splits as I tapped in a 4.53, 4.48, 4.47 in the following kms. Weirdly this extra pace seemed to be good for me psychologically as I began passing runners – including Tony Audenshaw on his was to becoming Fastest Schoolboy – comfortably and the miles were passing faster. It wasn’t easy though, by this time I was in the 170s for heart rate. I expected to pass my family again at 22 miles but they’d moved and I thought I’d missed them. This caused a little slump in pace which picked up again when I saw them a little further down the road. As Canon Street passed and the underpasses dragged on I stopped looking at my watch and focussed on feel. Running down the miles and picking up my last drink at 23 and gel at 24. Embankment turns to face Westminster and I realised I was still ticking off good splits. Perhaps understimating the distance, I dropped a gear at 40km and put in a 4.44km (7.37mile) split to take me around the bend into bridge street and the wide Birdcage walk, head up and looking for the marker boards. Birdcage Walk is a bizarre part of the race. It’s much wider than the previous few miles (or at least it seems like it) and it seems to drag on for ages. Knowing you’re 2km, then 1km from the finish you realise you eat those distances for breakfast normally but there’s nothing in the tank.I’d passed the 3.30 pacer I’d all but forgotten about since the pit stop somewhere on Embankment so I knew I must have had 3.30 in my sights but I didn’t want to look at my watch as I knew I was giving it all I had anyway, knowing the time wouldn’t have made any difference. The BBC cameras caught me as I thumped ungainly up the Mall puffing like Ivor the Engine (replayed at the company meeting the next day) and I crossed the line having dropped a 4.12km (6.45 mile) for the last 1000m. My Garmin had it as 3.29.59. I couldn’t believe it. So much so that I fully expected it be revised up by a few seconds when the chip time came in. The lonely 800m walk, photos and bag collection followed and I couldn’t believe my legs were as minced as they were. Where had those final 10k come from? I could barely shuffle to Horse Guards. Desperately looking out for water (I couldn’t face any more sweet sugary drinks) I didn’t realise there was one in my bag so I swiped up the Pink Lady apple they’d popped in there and by the time my family arrived at the meeting point I was halfway through that. Happily my brother revealed the chip time had me one second quicker. 3.29.58. A solid negative split (1.45.38 and 1.44.20) and inside my goal. Delighted and demons from 2011 expelled. Straight afterwards I said “never again” just like most of the non-elite runners I suspect but here I am,a week later with new goals in my head. But they will wait for another post. On what was a terribly dark day for others, it seems churlish to celebrate too much but the honest reality is that I felt pretty damn smug the following day, even if my legs were incapable of providing me with any dignity.